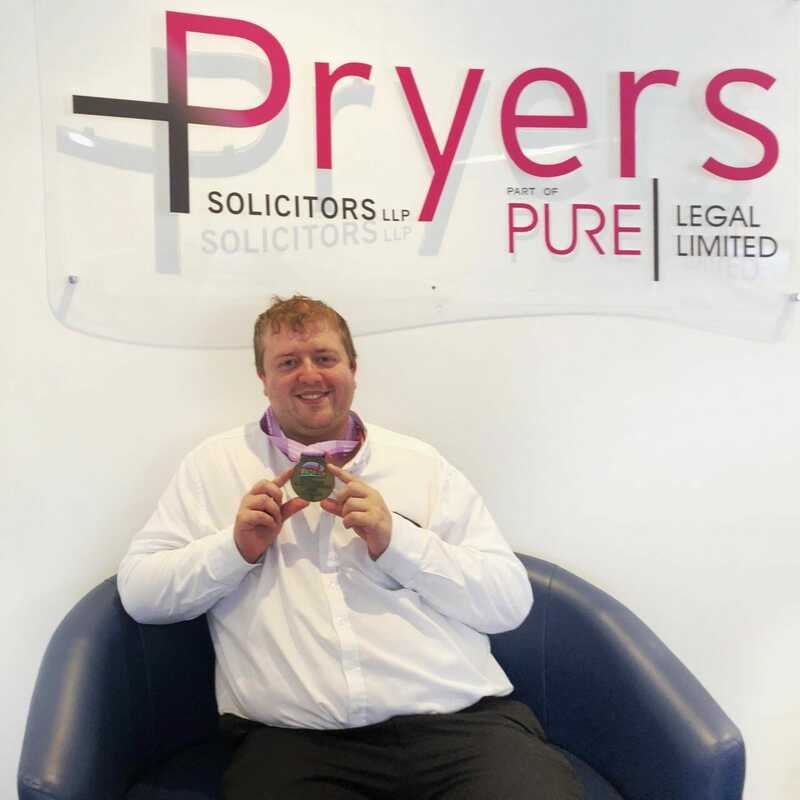 Pryers Solicitor’s Mark Mason has won a gold medal in the boccia team event at this year’s Special Olympics Great Britain 2018 Anniversary Games, which were held in Stirling. Mark is an administrator at the team’s York offices and competed at the summer games in August this year as Captain for the Yorkshire and Humberside Boccia team. The Special Olympics Great Britain was founded in 1978 and provides year-round sports training and athletic competition for children and adults with intellectual disabilities. It is held every four years and attracts over 2,600 athletes from across the country, as well as the support of 800 coaches, 750 volunteers, 150 officials and over 5,000 family and friends. 2018 is the third time that Mark has competed at the Special Olympics. Speaking of his experience, Mark said; “Being in the competition can be worrying at times especially being a captain for Yorkshire and Humberside Boccia team when you have to make the correct decision but I’ve gold to add my collection of medals that I’ve got at time. “I did have a lot of fun at the opening ceremony when we were at the Stirling football stadium with the entertainment and had a closing ceremony party at the University of Stirling and it was a long walk from the accommodation to the get our food and to get to the venue. “The Best bits are the games was leading my team to win a gold medal after winning 3 games out of 4 and we also went to the Wallace Monument not far from Stirling when we went right to top it was a lovely view you can see the university and the village called the Bridge of Allan and the fun part was walking down to deep hill. Boccia is a precision ball sport similar to Bocce. The aim of the game is to throw leather balls as close as they can to a white target ball (the jack). At the end, the referee measures the distance of balls closest to the jack, and awards points accordingly. The team with the highest number of points at the end of play is the winner.